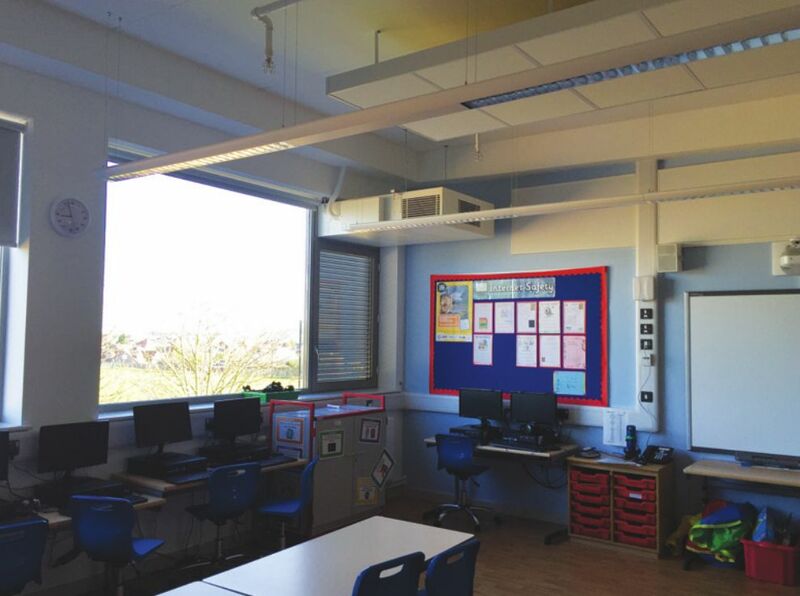 Much of the complexity of designing, installing and maintaining central heating in multi-occupancy low-rise buildings can potentially now be eliminated with a room-by-room solution from Gilberts that combines ventilation with heat boost. The concept means that there is no need to provide radiators in the rooms in which the new option is fitted. Further, because the solution is fitted at ceiling height, it liberates interior design and optimises use of floor space. The solution focuses around Gilberts’ unique Mistrale Fusion (MFS) unit with an integrated LPHW coil. 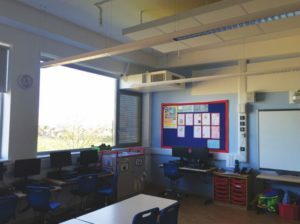 Just 2 x standard MFS128, or 1 x MFS256, will warm a standard 32 pupil-classroom to all regulatory requirements. The stand-alone unit is installed as normal through the building façade. The core MFS appliance provides natural ventilation and uniquely blends the incoming fresh air with the warmth from the exhaust air without the need for a heat exchanger. MFS ensures an even distribution of airflow, with control over temperature and CO2 levels within, and maintains a comfortable internal environment for occupants.